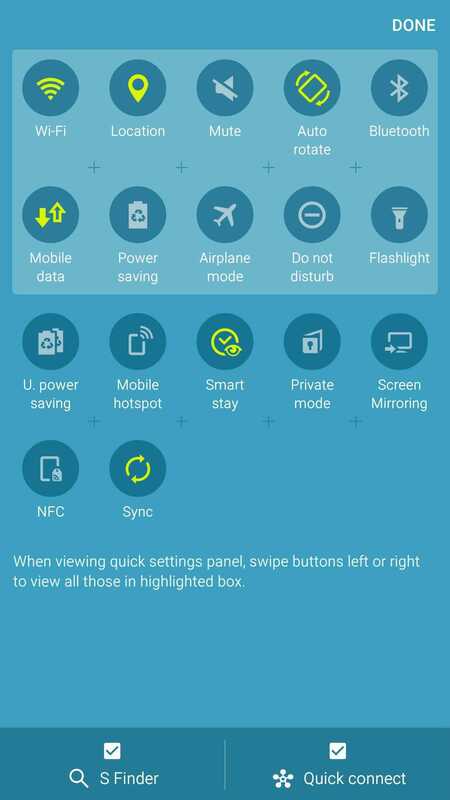 Samsung Galaxy has begun to roll out a fresh UI for the Note 5 devices used in China and in South Korea, as a part of its new Beta Program, in an attempt to overhaul its TouchWiz UI. The test is being conducted in China and in Korea and it is being done on the Note 5, termed as New Note UX. According to sources, all new flagship devices of Samsung will come with the new user interface in future. It will not be limited to the Note 5 alone or other Note devices only and is expected even on the S7 and S6 series. The changes are only in the beta stage, so there could be further changes. One of the reports in SamMobile claims that the program was launched on 9th of June. One of the biggest changes is that the launcher does not have an application drawer. This feature is now commonly seen in OEMs of China, so it seems that Samsung is attempting to check out how the lack of an application drawer works in other markets. All the application icons are uniform in shape, including the ones of third parties. The apps are being cropped as a result, obviously trying to copy iOS. However, it is still now known whether the features will be optional for users or not. This is a major redesigning feature for TouchWiz. One other change that is noteworthy is connected with the Settings application, with a totally different look for the settings menu. The app looks very similar to the ones that you see in Chinese mobile phones. The buttons don’t have any text and are only icons. All icons are in the shape of a rounded square or in the form of a square backdrop. This is reminiscent of the ones that were used on the Ubuntu Phone. The power toggle has a fresh layout for the dropdown feature found in the notification bar. The new user interface attempts are still in the testing stages, being conducted in Korea and in China. However, it could also be that the company is planning to begin shipping some other interfaces that are more regionalized for its future phones. The market in China is different and has different preferences when compared to those in other parts of the world. The changes could also be a preview for the Note 6 that will be launched later this year. It is not clear whether the beta program will be expanded outside of China or Korea and also whether it will apply to devices other than Note ones. For now, only users of China and Korea are to be offered the test drive of the Note UX. The program is expected to run for two months, after which it will be released for eligible phones and tablets in August. The new user interface looks more modern and has updated icons for applications as well as modern colors. The color scheme seems very attractive.